Although dubbed by some segments of the press as the "new boss of bosses"—that mythical title many journalists and some law officials show a consuming interest for having filled—Frank "Funzi" Tieri was no such animal. But, in the era after the demise of Carlo Gambino in 1976, Tieri may well have been more equal than the others among the New York crime family godfathers. Tieri was perceived by many mobsters as the nearest reincarnation of Lucky Luciano. Luciano's great power within the Mafia, or what he liked to refer to as the "outfit" or "combination," derived from his gifts as a "moneymaker." Indeed when the Luciano-Lansky group made its move in the early 1930s to take over from the old Mustache Petes, the dreaded Albert Anastasia embraced Luciano in a bear hug and said, "You're gonna be on top if I have to kill everybody for you. With you there, that's the only way we can have any peace and make the real money." Meyer Lansky also had the Midas touch, and in later years so did Tieri. Before Tieri came to power in 1972, the Luciano-Genovese crime family had fallen on hard times, relatively speaking, at least as far as the low-level soldiers were concerned. After Vito Genovese's imprisonment in 1950, operating control passed successively to a number of Genovese yes-men who seemed more concerned with their own financial wealth than that of the soldiers. This situation, in fact, made the rubout of Tieri's predecessor, Tommy Eboli, highly popular with the soldiers; Eboli showed a suicidal disinclination to share much of his personal racket empire with the troops. Gambino's handpicked successor to the old Luciano throne. A close personal friend of Gambino's, Tieri proved a popular choice with the soldiers. Even federal agents had to admit Funzi Tieri was a good pick. One said, "He's a real class guy, a real moneymaker, one of the classiest gangsters in the New York City area." An underworld source had a similar accolade for him: "He's an earner. He always was and he always will be. And he keeps the boys happy. Under him everybody earns. That's the key. You got to keep the boys happy or else they'll turn on you." Tieri was born in 1904 in Castel Gandolfo, the small Italian village about 15 miles south of Rome that is best known as the papal summer residence. 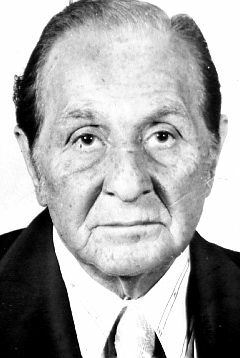 Tieri immigrated to the United States in 1911, and, aside from an armed robbery conviction in 1922, he was not successfully prosecuted again until his twilight years, despite running one of the most widespread crime family operations in the eastern United States. Under him were such syndicate noteworthies as James Napoli (Jimmy Nap), Fat Tony Salerno, Philip "Cockeyed Ben" Lombardo, Nicholas "Cockeyed Nick" Ratteni, Gentleman John Masiello, Fat Larry Paladino, Matthew "Matty the Horse" Ianniello and Vincent "the Chin" Gigante. In addition to controlling most gambling and loan-sharking in New York City, Westchester, Long Island, and New Jersey, Tieri oversaw operations in Florida, Puerto Rico, Las Vegas and California. For several years he covered himself in so many layers of distance from criminal activities that he seemed immune from prosecution. Tieri ran his empire with none, or at least less, of the mindless violence that marks many crime-family operations. He showed his men how to milk loan shark victims and then ease up when needed. In one case a Tieri underling made a $4,000 loan to a businessman at 3 percent a week interest, so that the annual "juice" came to $6,240. After three years the businessman was falling behind in his payments, and Tieri ordered: "Look, we've made thousands on him since he took the loan. Even if he dies tomorrow, we're way ahead." The victim was not to be killed but coddled, and, under an eased-up treatment, was taken for whatever more could be extracted from him. Tieri issued a similar decree in the case of a victim described as a "degenerate gambler." He told his capos: "Go easy. The guy's a sickie and we've made a fortune off him. Give him an easy payment schedule. Whatever we get from him, even if it's ten bucks a week, will be gravy." None of this indicated to his men that Tieri was a softie. He believed in violence in getting the average loan shark debtor to pay up and "not try to cheat us." He ordered many a broken leg and decreed any number of executions—especially against mob members caught skimming profits. The Mafia, more so than even prominent law-and-order types, is a firm believer in the death penalty. When Pasquale "Paddy Mac" Maccriole, a mob loan shark, turned up as a corpse in the trunk of his own car in 1978, it was a foregone conclusion that Tieri had ordered the slaying. Then there was the disappearance of Eli Zeccardi, Tieri's reputed underboss. There was a story that an Irish gang had kidnapped him and demanded a $200,000 ransom, which was not paid. After that Tieri claimed that the four or five Irishmen involved in the plot had been hit. But the word on the underworld grapevine was that Tieri had invented the kidnap tale and had Zeccardi executed for certain infractions. The Irish tale was thus just a cunning cover story; Tieri was always known for the treachery that his position required. Tieri could however be most diplomatic in handling important mob murders. Eavesdropping investigations indicated that Tieri was the key figure in the Mafia's decision to eliminate Carmine Galante, who had designs on control of much of the mobs' criminal activities. Tieri had emissaries sent around the country to seek approval for the hit from various crime bosses, including, allegedly, even the much-hated Joe Bonanno in Arizona. Tieri had abided with the general mob decision that Bonanno was poison and not to be dealt with, but he made an exception in this matter. Tieri lived in a modest two-family house in Bath Beach, Brooklyn, with his wife and two granddaughters whose mother had died in 1978. And each day he left his home for the house of his mistress, about a mile away. She was a former opera singer who met Tieri when she first arrived from Italy many years ago. Tieri's influence was enough to give her a start in opera. By the 1970s she no longer sang, but Tieri remained an ardent opera fan. He often did the food shopping on the way to his mistress's home (from which he ran much of the mob's business) and liked to quibble with the local butcher or grocer about prices—liver prices were outrageous, flounder was up too much. Tieri was a multimillionaire but to his dying day never liked to be taken and never paid a food bill until checking the storeman's addition. From 1922 to 1980, Tieri was arrested nine times but beat the charge every time. The score was, as the underworld said, nine-zip Funzi. Through the late 1970s Tieri flourished in his role as wisest of the godfathers, an excellent measure of his ability being the fact that many mobsters defected from other crime families to join his ranks. In 1980, however, Tieri became the first man ever convicted under new federal statutes of heading an organized crime family. According to the government, he was "the boss of a family of La Cosa Nostra" and he was connected to a "pattern of racketeering" as well as the murder of three of his associates in the last three years. In January 1981 Tieri came into federal court for sentencing in a wheelchair. With the aid of a lawyer and a nurse, he approached the bench and told the judge in a hoarse whisper, "I'm a very sick man, very sick." He unbuttoned his shirt to show Judge Thomas P. Griesa a scar from an operation. Among the ailments with which Tieri was afflicted were gallbladder problems and throat cancer. "I'm in your hands, judge." The judge gave him 10 years. Tieri remained free on bail pending appeal of his conviction. He died two months later. In the sense of not serving any time, the final score was 10-zip Funzi.